Whole house water treatment systems from RainSoft are designed to combat a wide variety of water quality problems. These aptly named problem-solving filters offer formidable defense against the most common waterborne contaminants. The QRS Whole House Carbon Filter is specially designed to remove chlorine taste and odor – which many municipalities add to the water supply to render it biologically safe to consume. By the time the water reaches your home, however, the chlorine has fulfilled its purpose and is no longer needed. The QRS Whole House Carbon Filter will remove it, along with volatile organic compounds (VOCs), chemicals, and other contaminants. The result? A significant increase in the quality of the water your family uses for everyday household activities, from bathing to cooking food and everything in between. 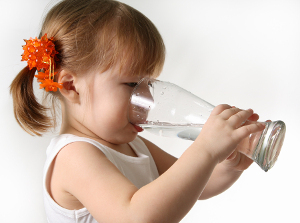 We also offer filters designed to target other specific contaminants, and after performing a complementary in-home water test to identify any particular problems in your water supply, one of our authorized dealers will be able to recommend the problem-solving filter that is most suitable for your needs. Are assembled in the U.S.A.
To learn more about the QRS Whole House Carbon Filter or any of our other premium whole house filter systems, contact an authorized RainSoft dealer today. Since 1953, we have made good water better throughout North America and around the globe. Be sure to ask about our other premium products too, including water conditioners, whole house water purification systems, air filtration systems, and more.